Cut paper into small circles. Write letters onto these circles and tape into the top of the cars. 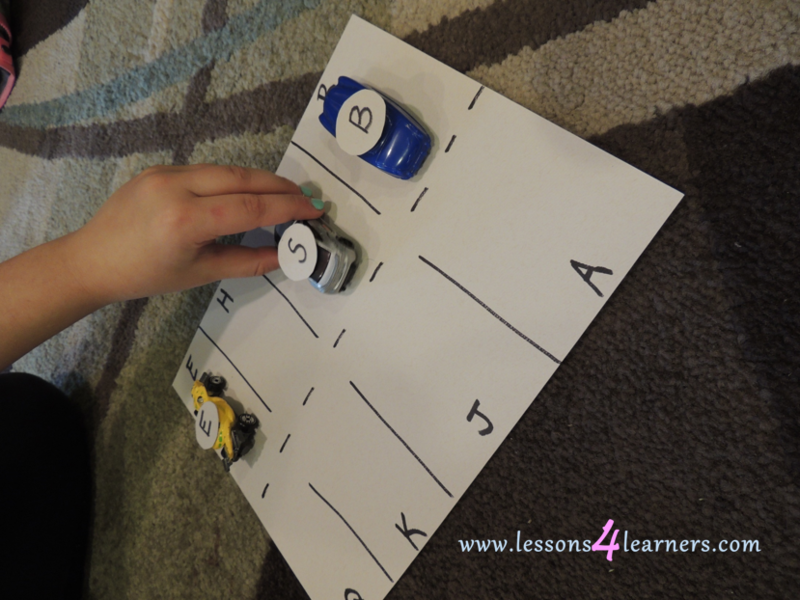 Invite students to drive the cars into the parking space that corresponds with the letter on top of the car.